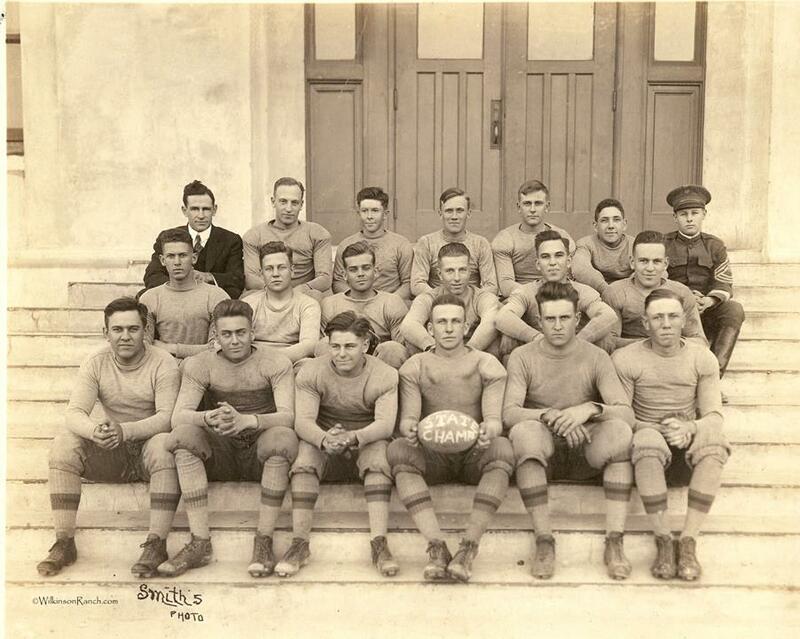 West Texas Military Academy, San Antonio, Texas, photo taken sometime before 1918, when Alexander Daniel “Dan” Auld left for war in May. Founded as West Texas School for Boys and popularly nicknamed ‘West Point on the Rio Grande’ and in 1926 became Texas Military Institute. 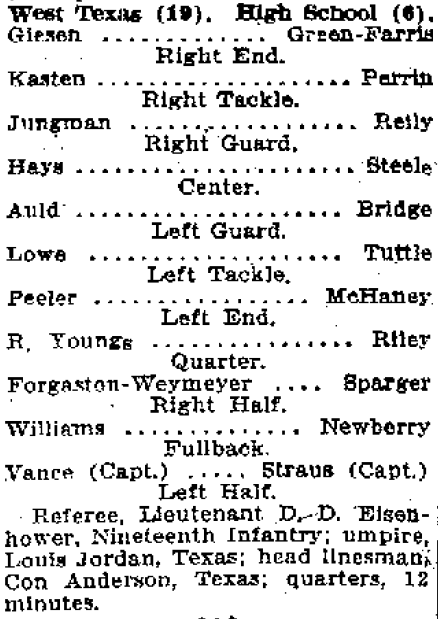 The San Antonio Light newspaper published on October 19, 1915 has the results of the West Texas defeats High Team 19 to 6. This game was a hard fought game on both sides of the ball and listed the players for the teams. 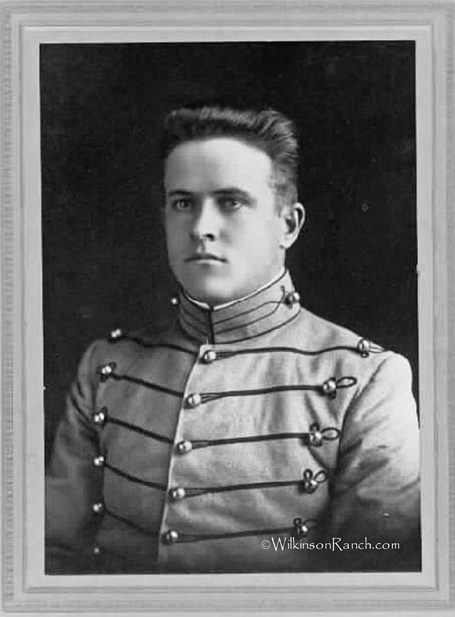 Cadet Alex D. Auld was named as left guard. The most amazing part of this newspaper article is the Referee, Lieutenant D. D. Eisenhower. 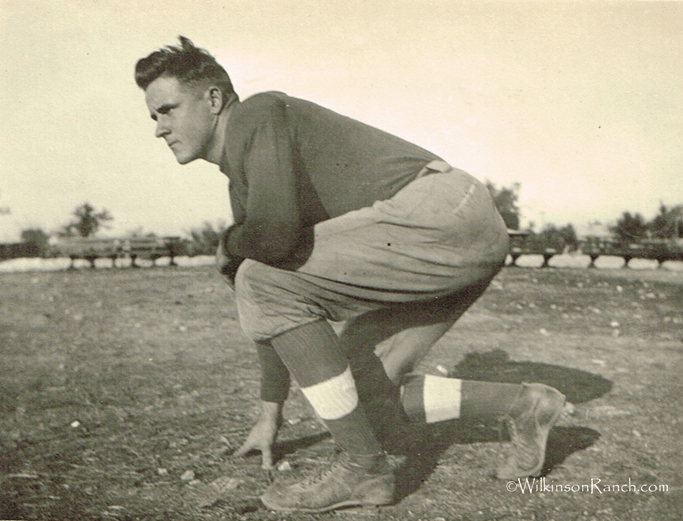 My grandfather, Alex D. Auld was a Marine in World War I and became a successful husband, father and independent oil man and sheep, goat and cattle rancher in Texas. And to think, Lieutenant Eisenhower became a five-star general and our 34th United States President. 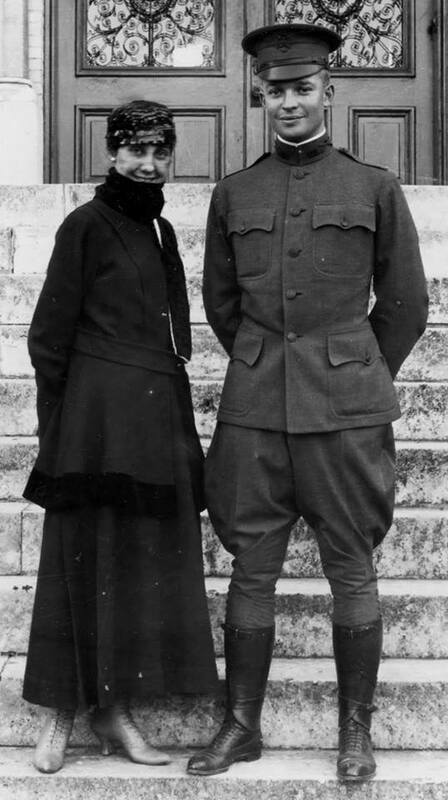 Mamie Eisenhower, with her husband, Dwight, on the steps of St. Mary’s College, San Antonio, Texas, in 1916. 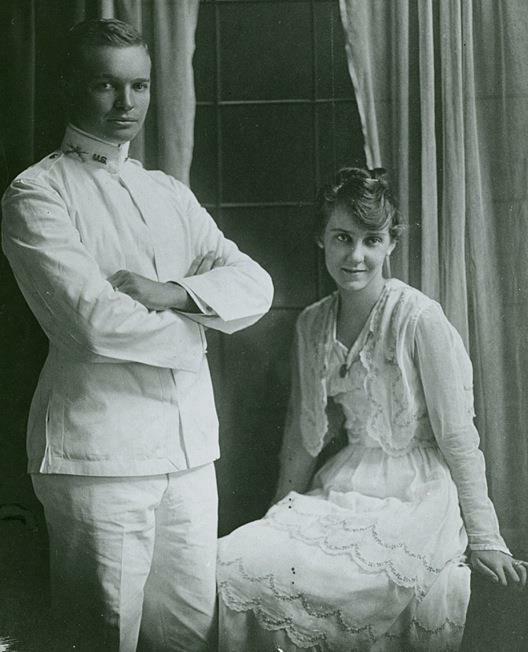 They married July 1, 1916 in Denver, Colorado. David Dwight Eisenhower and bride Mamie Doud in San Antonio, Texas.